Description: Marvel Entertainment and Walt Disney Studios present this sequel to THOR (which also follows THE AVENGERS). 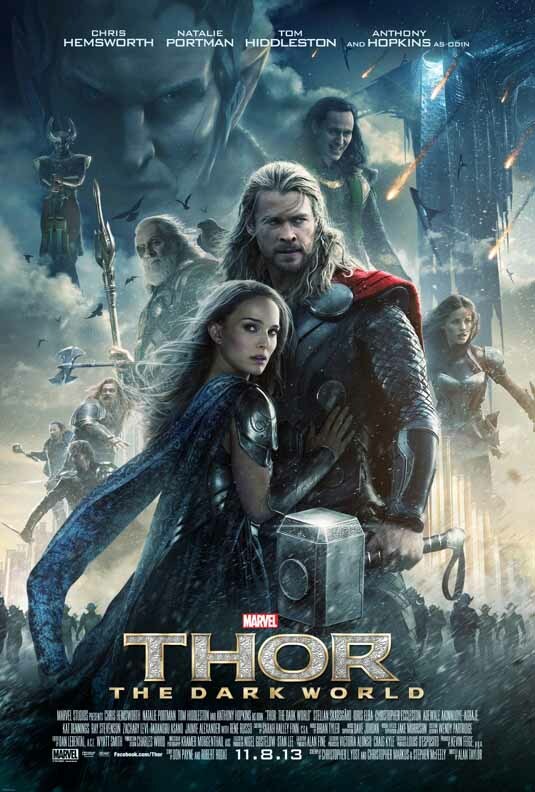 Chris Hemsworth is back as the titular hammer-wielding Norse god, supported by Natalie Portman, Tom Hiddleston, Anthony Hopkins, and Christopher Eccleston. Alan Taylor directed from a screenplay by Christopher Yost and Christopher Markus & Stephen McFeely, based on a story by Don Payne and Robert Rodat, derived from the comic book by Stan Lee, Larry Lieber, and Jack Kirby.